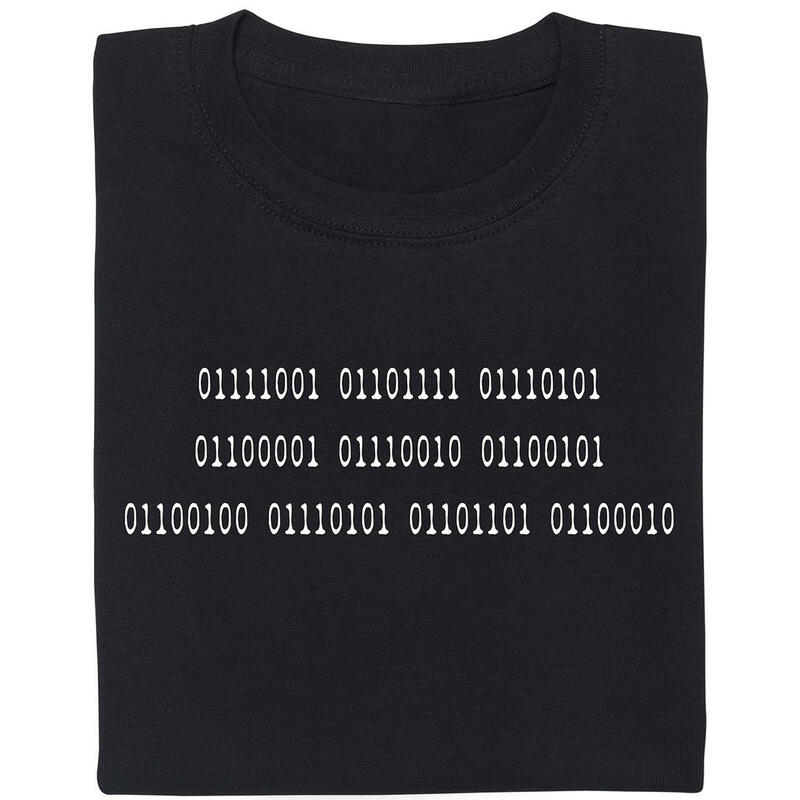 We are the Borg. Lower your shields and surrender your ships. We will add your incredibly cool car decals to our own. Wouldn't it be weird if spaceships or planes had decals on their rear that read "I'm also braking for X-wings" or "Data on board"? Well, it probably wouldn't work since in outer space few people can actually read the decals... But if you're in your shuttle, landcruiser or something called a 'car', you should check these decals out. 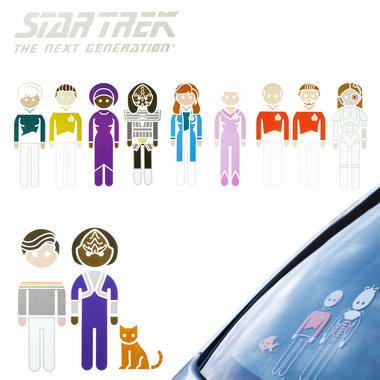 The Star Trek Next generation Car Decals can turn every normal car into an official vehicle of Starfleet. On 4 sheets you can find 33 characters from the hit series that will put all the stick-figure families on other cars to shame. In addition to Picard, Data and the Borg queen, less well-known characters like Wesley Crusher and the secret star of TNG, Livingston (something 'fishy' about that name! ), are included, too. As an added bonus, if you decide to adorn your car with Klingons or the Borg, it's highly unlikely that anyone will dare mess with you in traffic ;). 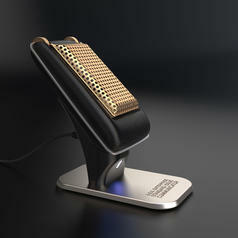 159,95 € lade... Comunicatore Star Trek Bluetooth "Affascinante!" Puoi collegare questo Comunicatore TSO di Star Trek al tuo telefonino per telefonare come farebbe il Capitano Kirk. da 12,95 € lade... 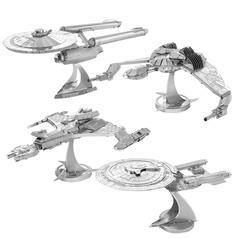 Kit per modellini di Metal Earth 3D di Star Trek Questi set ti permettono di costruire la tua astronave in miniatura. Scegli tra quattro diversi kit.